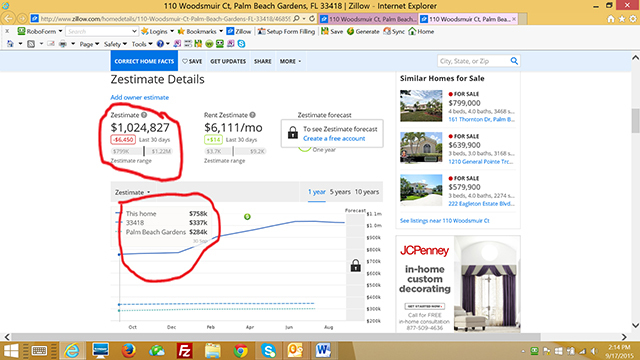 Zillow Zestimates are not as reliable as you might think! A while back I wrote a blog about why Zillow Is For Idiots. Here a great example of how one seller reaped an additional 30% above the “Zestimate” of their home just by hiring a qualified Realtor rather than settling for Zillow’s online estimate as a selling price. 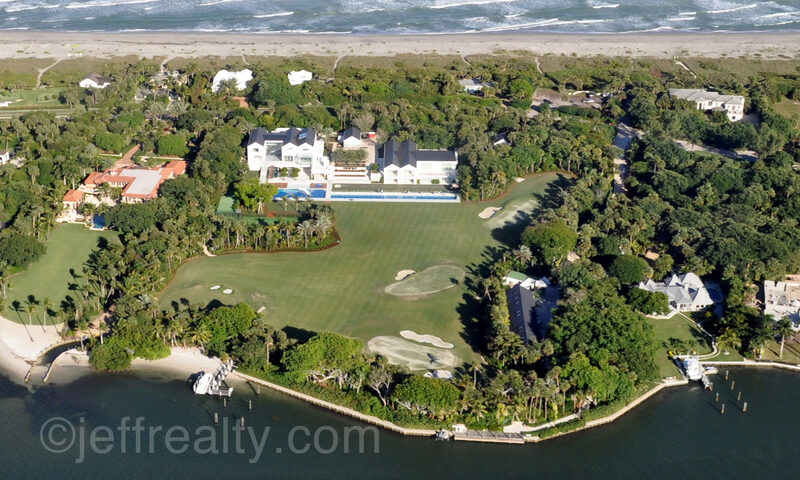 The PGA National home for sale at 110 Woodsmuir Court we were marketing had a Zestimate on Zillow of $758,000 on October of 2014. The property sold for $1,075,000 a few months later! Zillow was off by 30%!!! The new owner also put $150,000 in a new roof and impact glass. So, did they overpay by 30% + $150,000 — or over 40%? The answer is an absolute NO. Here’s why. We had three offers between $1,050,000 and $1,075,000. What Zillow couldn’t see was the house had new floors, with a disasterous step-down in the front taken out. It was decorated to the nines and had beautiful landscaping in all the right places. Proper staging, fixing a major problem, and bringing the outdoors in — along with excellent marketing — did the trick. 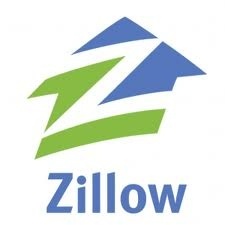 Now Zillow has increased its Zestimate to $1,024,827. In this case Zillow wasn’t even a guide! (By the way, It goes the other way, too — I’ve seen the opposite occur where buyers make decisions to purchase because Zestimates are higher than true market value). We’re living in a fast paced society where everyone wants instant information. The problem is, Zillow can’t see upgrades, how a house feels, the floorplan, and other major factors influencing a buyer’s decision. Without taking proper care in this crucial step of buying or selling a home, many families let Zillow’s shallow, and quite often, outdated information guide them in deciding what a home is truly worth. But by taking this “point and click” approach, many buyers and sellers potentially, as they say in Vegas, leave a lot of money on the table. The moral of the story is: Zillow and Zestimates are not as reliable as people think. Rely on a certified Realtor or appraiser with on-the-ground neighborhood experience when evaluating a property. These professionals will help you understand upgrades, monies needed in the house, solvable issues, unsolvable issues, and demands for specific floorplans in the neighborhood. These are issues a certified Realtor or appraiser can offer you and help you keep money in your pocket. Posted in real estate, Zestimates, Zillow on September 26, 2015 at 6:43 am.